Viva Beach Life! 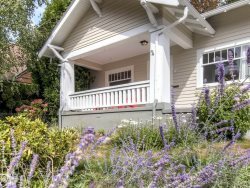 (Vacation Homes) hosts and entertain guests local/coastal styled (from San Diego to Portland, OR) in comfy, remodeled, entertainment-friendly and pet-friendly homes. Viva Beach Life! (Vacation Homes) challenges and rewards, us and the team of local contractors & partners to achieve 5-star guests reviews and acting immediately on private feedback from all by remodeling, enhancing, cleaning, staging, inspecting, repairing, replenishing and selling our entertainment local / coastal styled (from San Diego to Portland, OR) vacation homes. Viva Beach Life! (Vacation Homes) maximizes clients return on their investment (ROI) with increased sales and occupancy by remodeling, marketing, turn-key maintaining, selling 5-star vacation guest experiences/entertainment local/coastal styled (from San Diego to Portland, OR) homes. Viva Beach Life! (Vacation Homes) Vision Bring host entertaining to guests local, coastal vacations experiences (from San Diego to Portland, OR) by staging and remodeling vacation homes to entertain (inside and out) and access local amenities so guests may celebrate life with their guests, friends and families and pets.